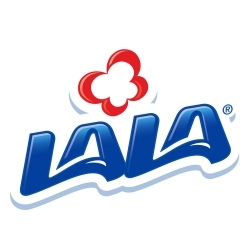 LALA, one of the largest dairy products companies in the US and Latin America, will present a check to TeletonUSA during their live fundraising telecast to air December 12 and 13 on Spanish-language television station Univision. LALA and TeletonUSA invite everyone to donate as well. TeletonUSA favors a culture of integration of people with disabilities, cancer and autism. The organization raises funds from private parties and companies to build and operate low-cost rehabilitation centers for children who can normally not afford the therapies they need. TeletonUSA also donates a percentage of funds raised to other organizations that are just as dedicated to help children across the United States. LALA’s mission is to “nourish for a lifetime” and goes hand in hand with TeletonUSA’s philosophy “science and heart united to save lives”. LALA invites everyone to send messages of support to the children patients of CRIT USA through #DaMásDeLoBueno.